Berlinica Blog: Advent, Advent .... 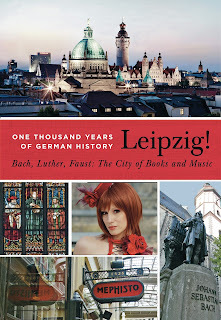 Happy Birthday, Leipzig! So, granted, Leipzig MUST have existed before December 20, because otherwise, how could Thietmar have talked about it, but this is how city birthdays are celebrated. So, here is you gift: If you buy the book on our website, you will get 5 dollars off. And, as always, if you sign up for our newsletter, you will get a free ebook. And, of course, you will also get a picture....sadly, we don't have one of Thietmar, since selfies were not commonplace in 1015, but here is a pic of Dietrich the Oppressed, who governed Leipzig in 1217 (and who was not so much an opressee than an opressor).